When is a Music Program Not Just a Music Program? 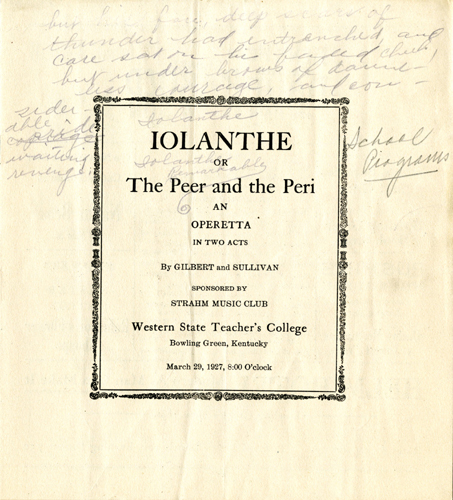 When it is the program for Gilbert & Sullivan operatta Iolanthe performed at WKU March 29, 1927. 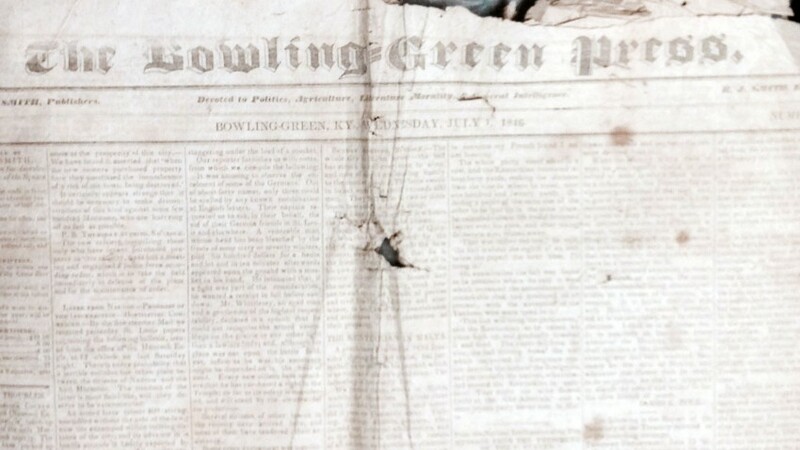 This program is chock full of ads for Bowling Green businesses. 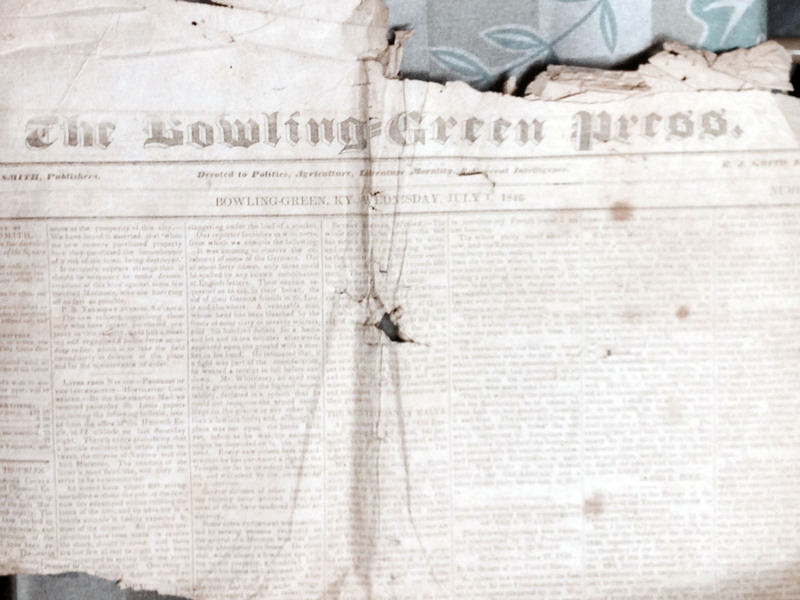 Some ads tell us where the business was located, especially in the downtown area. It is also a record of how much support the citizens of Bowling Green have given to WKU throughout the years. And, of course, it is a program of the performance, giving a list of the principle actors, members of the band, orchestra and chorus as well as the officers of the Strahm Music club. Quite the bang for the printing buck for six page program.